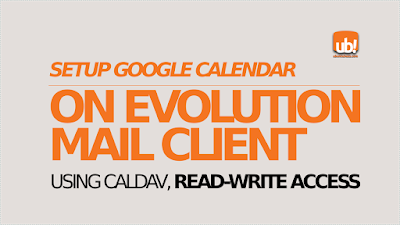 In the last post, I explained Google Calendar read-only access setup on Evolution Mail Client. Now, if you want the read-write access setup, this article explains it. 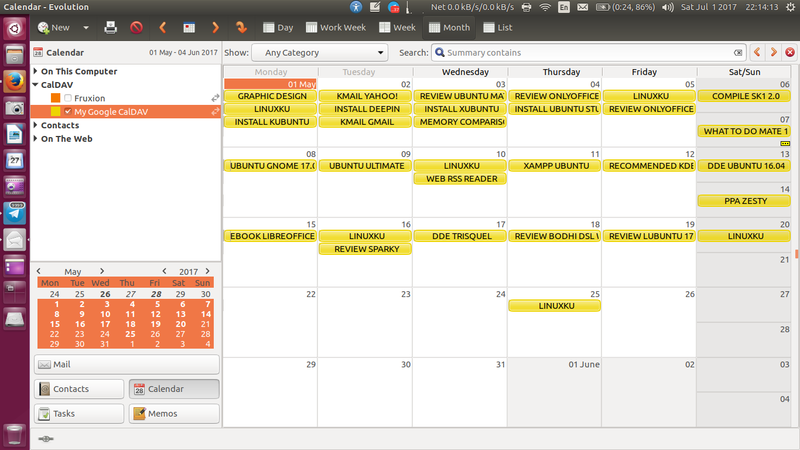 This article is dedicated for all Evolution users on Debian, Ubuntu, and other GNU/Linux distros. 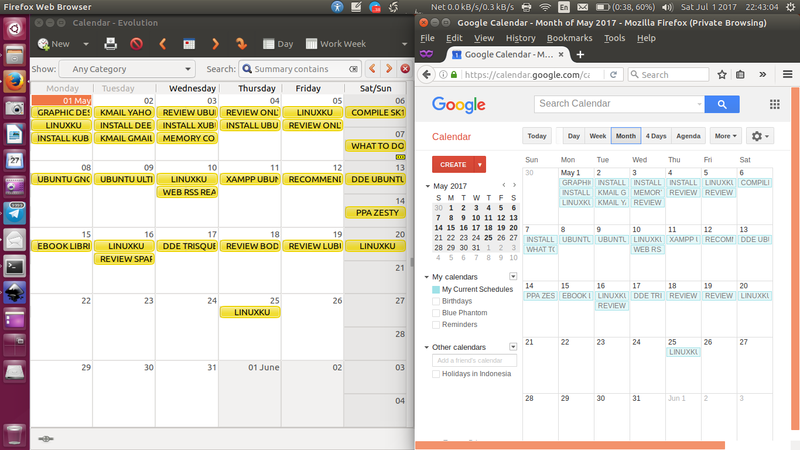 Run Evolution and add a new Calendar. 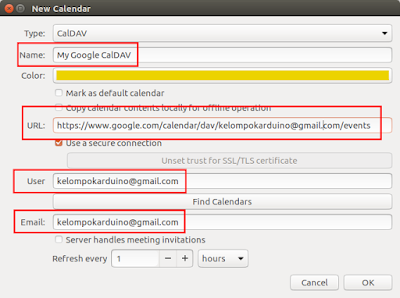 Select "CalDAV" from the choices. Evolution will ask you for your Gmail password. 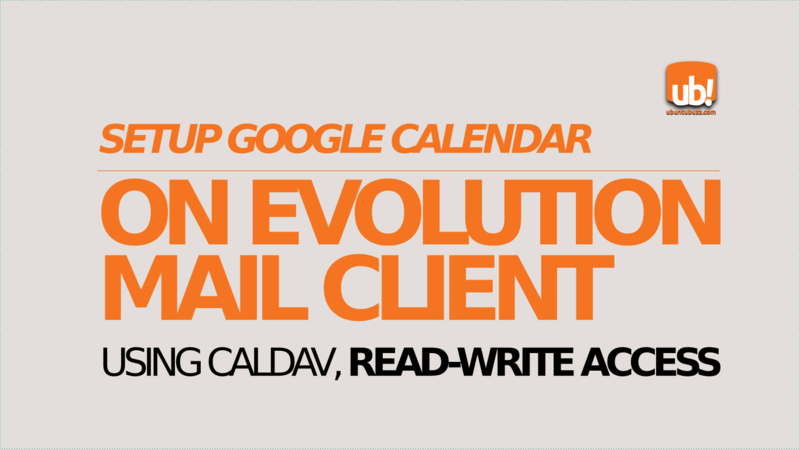 Enter it and press OK.
Evolution will now download your Google Calendar and display all events. 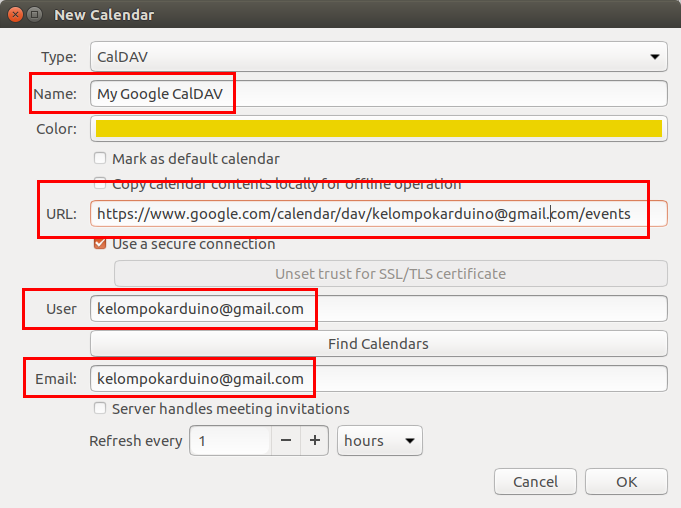 Not only that, editing on Evolution will also edit the online one on Google Calendar server. Once sync finished, try to add or edit new events. They should be synced between Evolution and online calendar. Happy working!